The head of an international wildlife organization says it has “failed miserably” to halt the precipitous population decline of tigers in the wild. 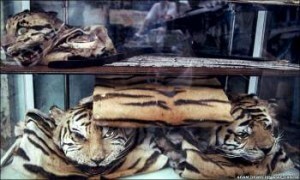 “How have we let this happen?” said Willem Wijnstekers, the secretary general of the Convention on International Trade in Endangered Species of Wild Fauna and Flora (CITES), meeting this month in Doha, Qatar. 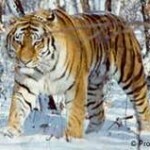 In the early 1900s, tigers were found throughout Asia and numbered over 100,000. Current estimates indicate that fewer than 3,200 of these remain in the wild, mostly due to poaching. Tigers are today primarily poached for their skins but almost every part of a tiger’s body can be used for decorative or traditional medicinal purposes. Most tigers are now restricted to small pockets of habitat, with several geographical populations on the brink of extinction. There were nine subspecies of tiger in the world: the Siberian Tiger, the South China Tiger, Indochinese Tiger, the Sumatran Tiger, the Bengal Tiger, the Malayan Tiger, the Balinese Tiger, the Javan Tiger and the Caspian Tiger or Persian Tiger. Three of these nine subspecies of tiger have gone extinct in the last century and one of them is believed to become extinct in the near future because of human influences. 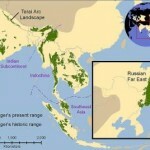 The historical range of these nine subspecies ranges from Russia to Siberia, Iran, Afghanistan, India, China and southeast Asia, and the Indonesian islands. Today, with a third of the subspecies extinct, their range has greatly diminished. Tiger conservation groups, scientists and celebrities, including U.S. actor Harrison Ford, have partnered with the Global Environment Facility and the World Bank Group to help save wild tigers.